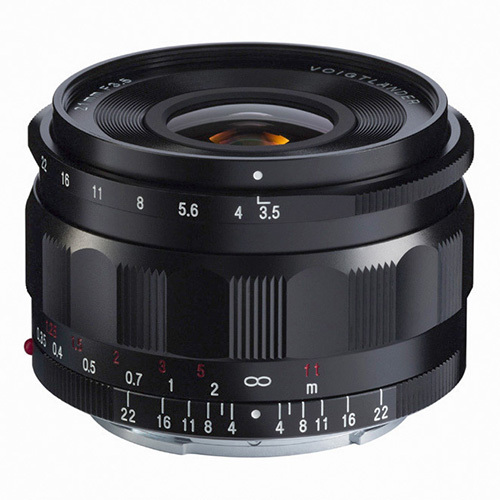 Cosina has announced their eighth lens for Sony E-mount, this times it’s the Voigtlander Color Skopar 21mm F3.5 lens. The Color Skopar 21mm F3.5 features electrical contacts for full EXIF support, this should also mean that hopefully Sony’s in-body image stabilization will work with this lens. The lens is constructed of nine elements including one aspherical element and one anomalous partial dispersion element in eight groups. It has a minimum focusing distance of 20cm/7.87in and uses a ten-blade aperture diaphragm. The diameter of the lens is 62.8mm/2.47in and the length is 39.9mm/1.57in. It weighs in at just 230g and utilizes a 52mm filter thread. You can view a sample image gallery here.